We have a bunch of Compressport stuff that we want to clear out! All products are now going at more than 50% OFF! Head on over to our FB Page for the updated prices if you can’t load the album HERE. 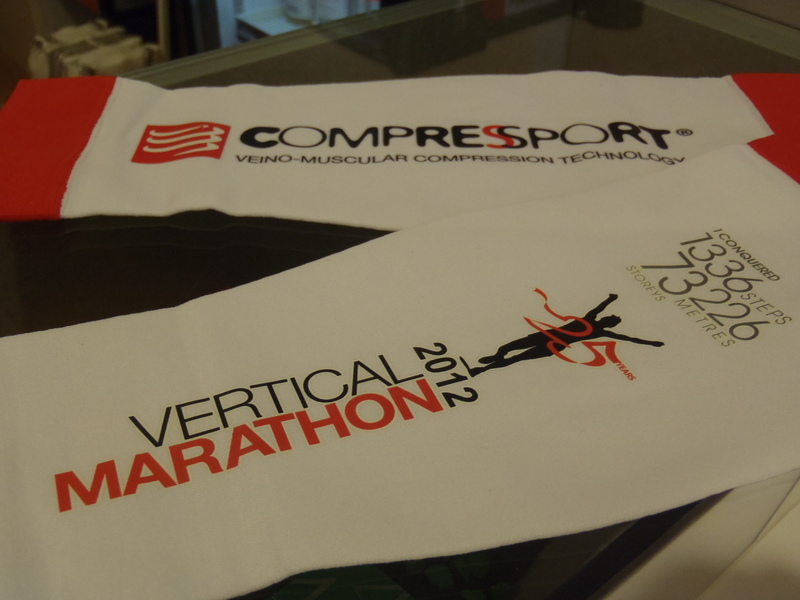 We’re doing a sale on all Compressport products while stocks last! For the actual sale prices of all the items, please check out the album HERE! To order or for more information, please contact us at info@wemakerunningcool.com. Shoes Plus Some Compressport? What a plan! We’re ending off the month of April with a little deal for all of you. Celebrate the end of April, seems only right! New in the store is the first installment of the Compressport Trail Running Range! Compressport has launched a Trail Running Shirt and Trail Running Short (they are tights actually) that will enhance your performance and of course keep you looking sharp! The Trail Running Shirt comes in 4 sizes (S-XL) and is available in black or white. The Trail Running Shirt retails for $159. Following on the success of the Pro Racing Triathlon Shorts, we now have a pair of shorts with out the tri-padding, just for running! The Trail Running Shorts are available in 4 sizes (T1 – T4) and follow the sizing for the Compressport ForQuads. The Trail Running Shorts retail for $205. 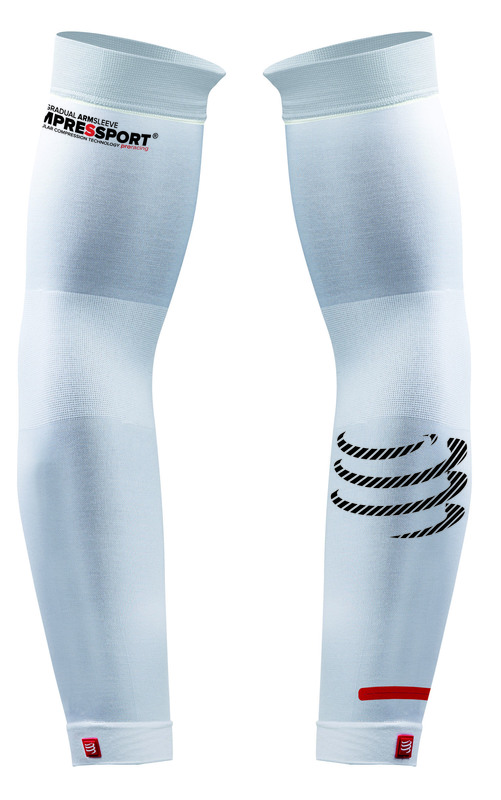 Not strictly part of the Trail Running Range, but a cool update to our Pro Racing Armsleeves. The new Pro Racing Armsleeve WATCH SPACE has a slightly different design and now includes a watch space that allows you to wear the armsleeve over your watch! No more rolling back the sleeve to check your heart rate or timing. The Pro Racing Armsleeve Watch Space is available in black or white, comes in 4 sizes (T1 – T4) and retails for $89. Put down all those Christmas left overs and come join us for a run! It’s our last store run for the year and it’ll be a good way to erase the guilt of overeating and get some exercise in to justify the excessive partying on New Year’s Eve. There will also be a lucky draw where the winner will walk away with a Compressport Pro Racing Triathlon Shirt (RRP: $149), compliments of COMPRESSPORT Singapore! Everyone that comes for the run will be entitled to one entry to the lucky draw and you’ll get an extra entry for every COMPRESSPORT product you show up in! 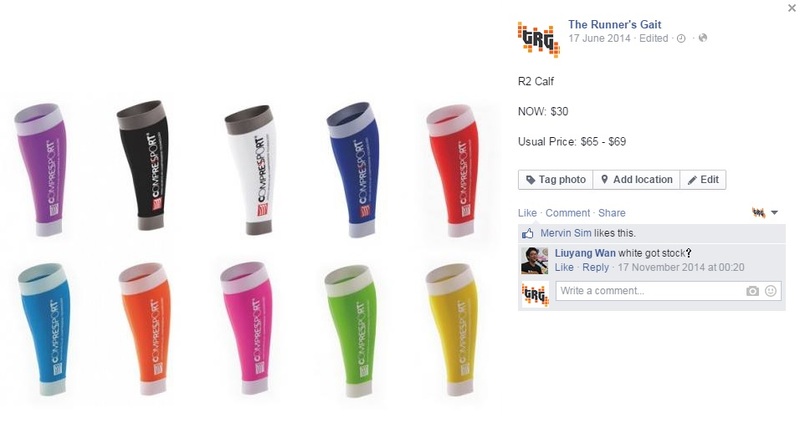 Compressport R2 – New Custom Colour! We’ve got a new custom colour just in time for Christmas! For all you dads out there getting dressed up as Santa, this will go perfectly with your outfit! We are CLOSED on Saturday, 17 Nov 2012!! Sorry this notice comes pretty late. The Runner’s Gait will be closed on Saturday, 17 Nov 2012! We’ll be at the Compressport booth at the Swissotel Vertical Marathon Race Pack Collection located at Level 4 of the Raffles City Convention Centre. Sorry for the inconvenience caused and if you need anything urgently, please send an email to wille@wemakerunningcool.com and you’ll get a response ASAP! Thanks for your understanding and see you on Sunday, business as usual from 11am – 3pm! John Chew is an age grouper that regularly finds himself at the pointy end of the race he enters. He recently took part in the Malakoff Powerman Malaysian Duathlon Championships in Putrajaya, Malaysia, wearing the COMPRESSPORT Pro Racing Triathlon Shirt (along with the R2s), and these are his thoughts. Truthfully, when i have the chance to use the Compressport Top, i was skeptical. Firstly, it was black in color. I believe everyone knows that black absorb heat easily and thats that last thing I want in a race or training. Secondly, my thought was that since running and cycling use most of our legs, whats the use of having a top ? 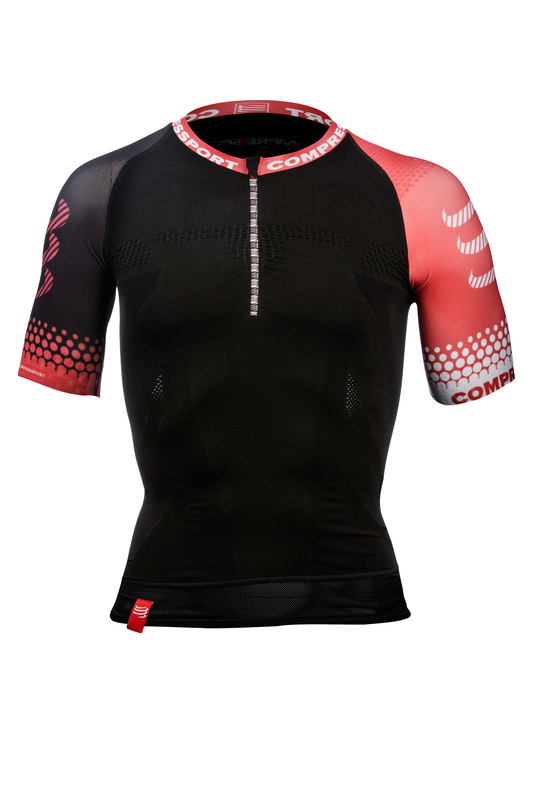 I believe that Compressport works but using a top was something I’m not very receptive about. 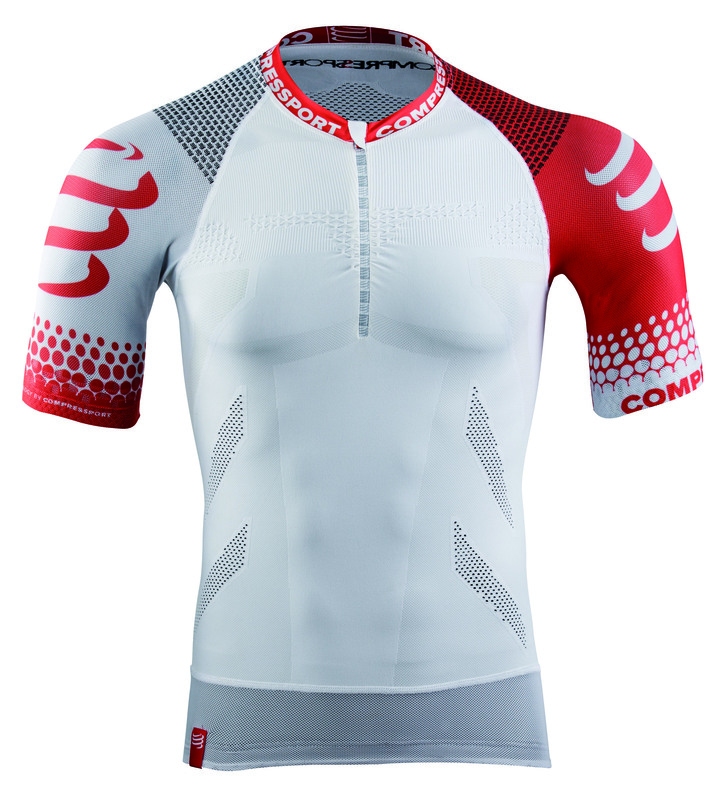 When I donned the Compressport top, I enjoyed the feel of the top as it was seamless. It was comfortable and tight. Finally, I do not need to suffer from abrasion from my arm pit area. When come to run leg, i was surprised that it was able to wick out my persipiration very quickly. My usual training partners would always comment that i perspire like “free”. Having the top to wick out my perspiration really helped alot ! 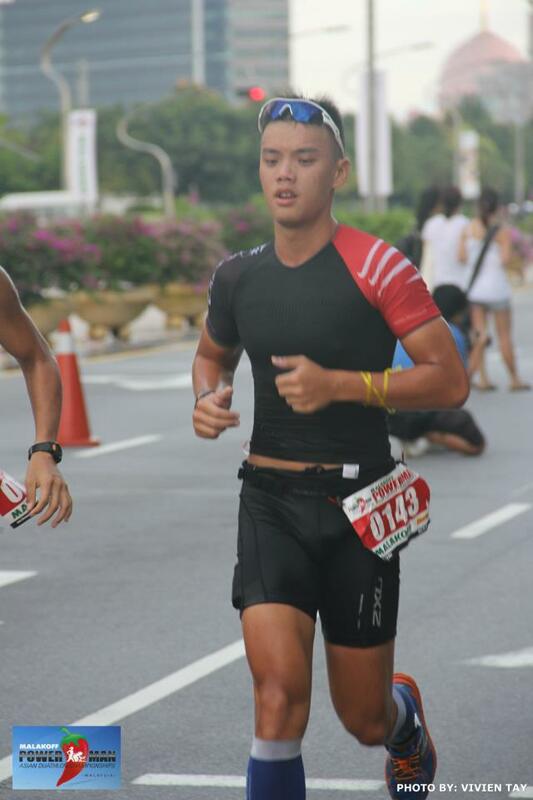 Though my top was black, I did not feel the usual heat trap in between my body and the Compressport top. When come to bike leg, my back shoulders were not aching when i was in the aero position. Usually, my back shoulders would ache in my training rides. Without the usual ache, I was able to focus more on my pedalling. The last run of a duathlon is always the most challenging. My run posture would be slouching due to fatigue. However, I was surprised that Compressport top helped to maintain my run posture. I was able to run more upright during the last run leg. Finishing the race with a personal best was made sweeter. Looking forward to don it for my 2013 races ! John finished in 8th place for the 20-29years AG at Powerman Malaysia, congratulations! 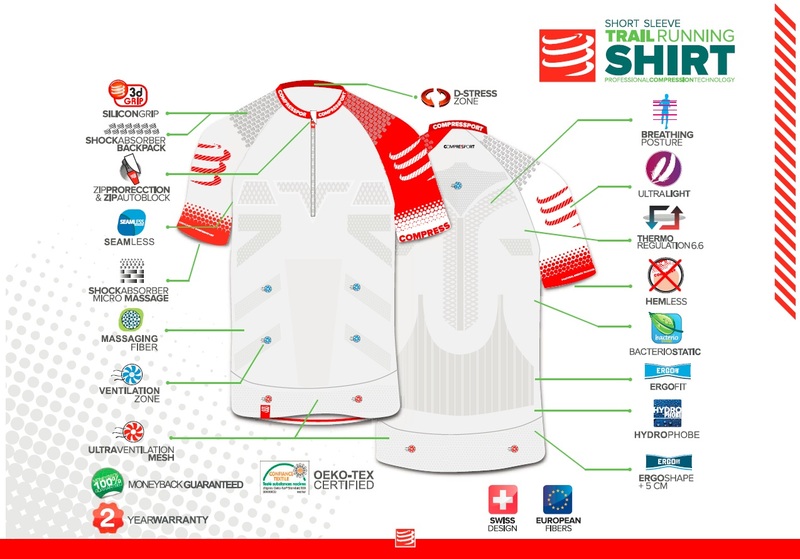 More information on the Pro Racing Triathlon Shirt can be found here. My very first foray into the compression garment world wasn’t quite the best experience I could’ve hoped for. After buying compression shorts from a particular (and very popular) brand I found them uncomfortable and switched them for quad sleeves instead. They weren’t terrible products, and while more satisfied with the quad sleeves I still found both products lacking in the comfort department, just in varying degrees. 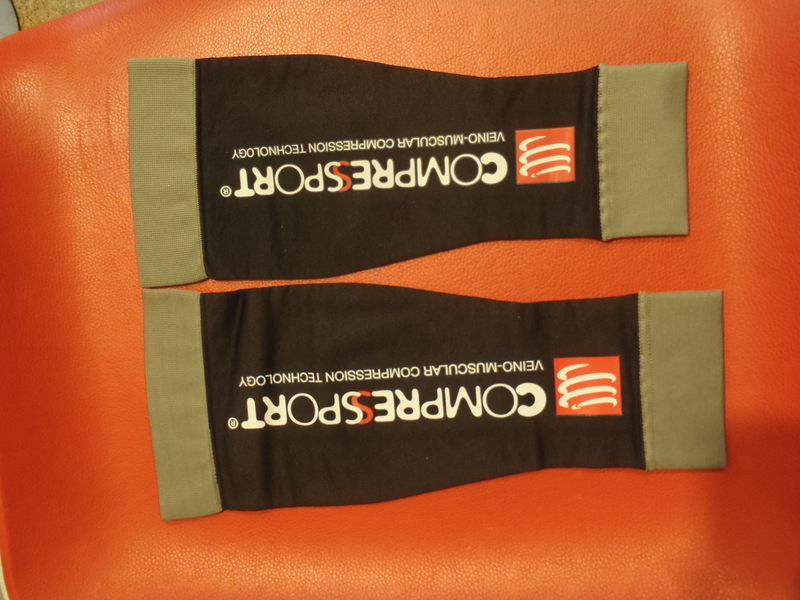 Having discovered The Runner’s Gait (a brilliant find) I was introduced to Compressport and their R2 calf sleeves, which seemed to me almost a flagship product with all the buzz about it. 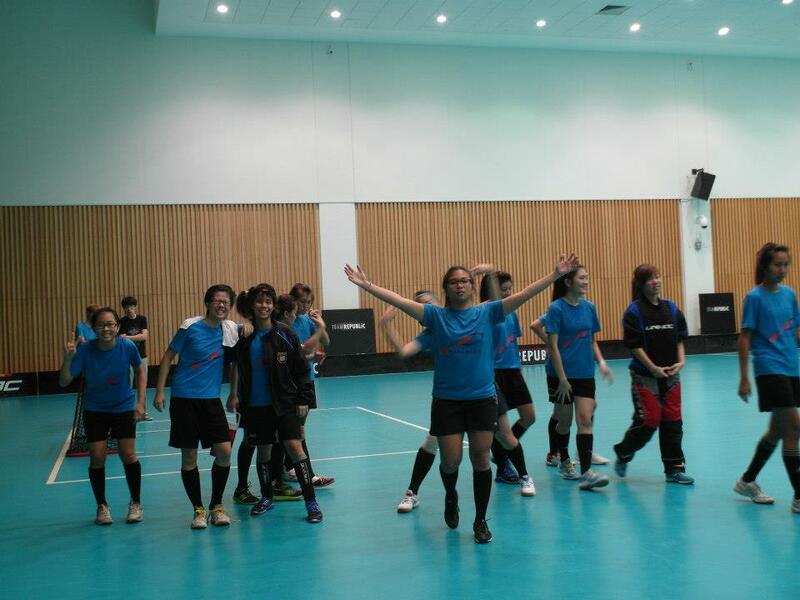 I run middle to long distances (but mostly long) and also play floorball, a hockey-like stop-and-go sport. As a member of 2 teams, I was training and playing up to 5 days a week, sometimes with an additional race during the weekend. My calves became a problem area; always heavy, tight, dotted with numerous tender spots. Massages and foam rolling helped but I sought for something that would aid my calves through a more active role. So after finding several positive reviews of the R2, I bought them in boring ol’ black. I thought they looked pretty cool, like actual sleeves, different from the other garments I’ve seen that look like black bits of cloth ironed onto your legs. Also, if you can make a tight garment look good in white, you’re cool in my book. Wearing them at home, I found them comfortable and subsequently wore them to sleep too and thought they felt like a hug around my calves. The very next day, I wore them for one of my floorball games. There isn’t all that much of a continuous effort here, but ‘go’ in stop-and-go may just well be another word for ‘sprint’ – big or maximum power each time. This makes a large amount of the effort anaerobic and lactic acid removal, one of the R2’s functions would come to play, in a big way. While warming up, the R2 felt good around my calves. Not overly tight. They seemed to make my legs more ‘bouncy’ too, and to be holding my muscles in place. Then at the end of the game, I realised I hadn’t thought much of my calves at all during the course of the game. Little of that familiar burn in the legs had come into mind and neither was the progressive fatigue in my muscles as apparent as it usually is. When I took them off, my calves felt well, just fine. I’ve only had the R2 for a few days, but so far, so good. What I also appreciate about these sleeves is that Compressport have put thought into constructing them, from the substitution of lycra for better durability to easy maintenance. Wille had told me many R2 users simply wash them in the shower, and that’s what I did. I didn’t use any soap though but yet the sleeves seemed to emit some sort of a scent (yes, a good one) on their own. Also, being able to actually try them on before buying them was awesome. There are 4 races and several games marked on my calendar till the end of the year and I look forward to wearing the R2 on for them, as well as for my other future races and games. I’m actually already eyeing Compressport’s ForQuad, but that’ll have to wait for Christmas. 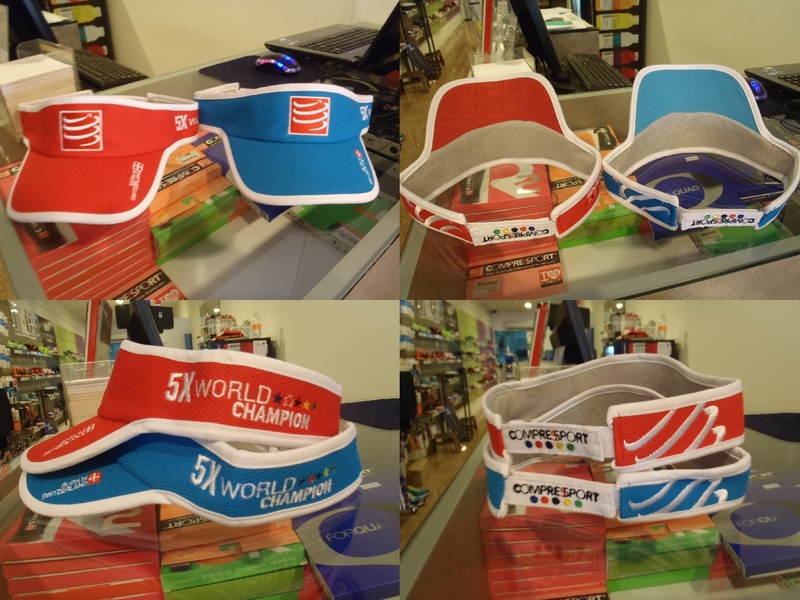 Compressport has rolled out a new size for their super popular R2 calf sleeves, new colours for their visors and a brand new Sweat Band 3D.Dot. For athletes whose calf measures less than 30cm (lower end of the T1 size range), the new size T0 (zero) is the answer! The new T0 R2s are available in Black or Red. The visors have undergone a makeover, but are still available in White. Finally, this is our chance to make sweat bands cool again! 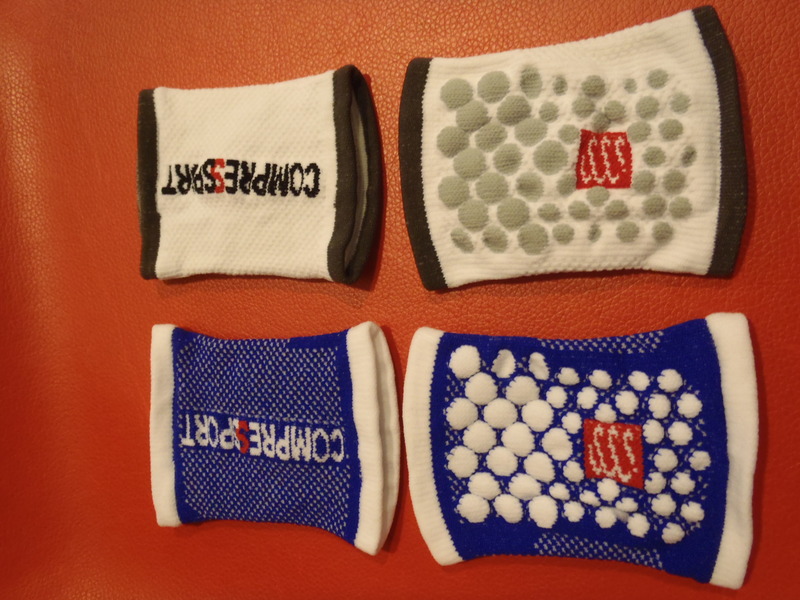 The Sweat Band 3D.Dots uses the same great technology that’s in the Full Socks and Pro Racing Socks. The 3D.Dots wick away moisture better and dry faster than sweat bands of the past. SweatDots, AeroKnitting, MorphoFit, BacterioStatic…so many technologies, one simple pair of sweatbands.